WASHINGTON, DC, May 24, 2012 (ENS) – Today the U.S. Environmental Protection Agency said it will distribute $69.3 million in grants for new investments to fund communities to clean and redevelop contaminated properties, known as brownfields. The projects will revitalize communities by cleaning up abandoned industrial and commercial properties and creating jobs, said EPA Administrator Lisa Jackson. “Restored brownfield properties can serve as cornerstones for rebuilding struggling communities. These grants will be the first step in getting pollution out and putting jobs back into neighborhoods across the country,” she said. There are an estimated 450,000 abandoned and contaminated waste sites in America. 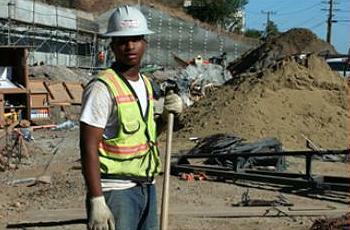 In 2011, EPA’s brownfields program leveraged 6,447 jobs and $2.14 billion in cleanup and redevelopment funds. Since its inception EPA’s brownfields investments have leveraged more than $18.3 billion in cleanup and redevelopment funding from a variety of public and private sources and have resulted in approximately 75,500 jobs, the EPA said today. More than 18,000 properties have been assessed, and over 700 properties have been cleaned up. Brownfields grants also target under-served and low income neighborhoods – places where environmental cleanups and new jobs are most needed. Nationally, the 245 grantees in this round of funding include tribes and communities in 39 states, funded by EPA’s Brownfields Assessment, Revolving Loan Fund, and Cleanup grants, known as ARC grants, as well as Revolving Loan Fund Supplemental grants. Nearly half of the grantees this year are new awardees who demonstrate a high level of commitment for undertaking specific projects and leveraging the funding to move those projects forward, Jackson said. In California, EPA has selected San Francisco for two brownfields assessment grants totaling $400,000. Hazardous substances grant funds will be used to inventory brownfield sites and conduct environmental site assessments and conduct community outreach activities in San Francisco’s Bayview Hunters Point community. The decommissioned Hunters Point Naval Shipyard is located in this area and Candlestick Park is on the southern edge. After the extensive toxic pollution is cleaned up, the entire area is being redeveloped for residential, commercial and retail occupancy with a new stadium to replace Candlestick Park. In Gloucester, Massachusetts, a $200,000 grant will go to the Ocean Alliance for a brownfields cleanup grant. Hazardous substances grant funds will be used to clean up the Tarr & Wonson Paint Factory site. The facility operated for over 120 years manufacturing marine paints until it was abandoned in the 1980s. It is still is contaminated with various metals and solvents. In DeKalb County, Georgia, a Revolving Loan Fund Grant will provide $650,000 for hazardous substances and $250,000 for petroleum cleanup. The grant will be used to capitalize a revolving loan fund from which DeKalb County will provide loans and subgrants to clean up sites contaminated with hazardous substances and petroleum. Grant funds also will be used to support community outreach activities, and monitor and enforce institutional controls. Indianapolis, Indiana will receive three grants, each worth $200,000 – one for hazardous substances assessment, one for petroleum assessment, and the third for hazardous substances cleanup. The cleanup is targeted to the former National Malleable Castings Company Works site. The 2.9-acre site was an iron works foundry from 1875 until 1962, and has been vacant since. It is contaminated with PCBs and arsenic. In Arizona, the EPA has selected the White Mountain Apache Tribe for a brownfields cleanup grant of $200,000. Hazardous substances grant funds will be used to clean up the former McNary Lumber Mill site, which operated as a lumber mill from 1915 to 1980. The site is contaminated with PCBs, heavy metals, and inorganic contaminants. About 29 percent of the grants are being awarded to non-urban areas with populations of 100,000 or less, 16 percent are being awarded to “micro” communities with populations of 10,000 or less, and the remaining grants are being awarded to urban areas with populations exceeding 100,000. Click here to see the list of all awarded brownfields grants by state.